The Bulgarian Crohn’s and Ulcerative Colitis Association is a non-profit legal entity pursuing activities for public benefit. 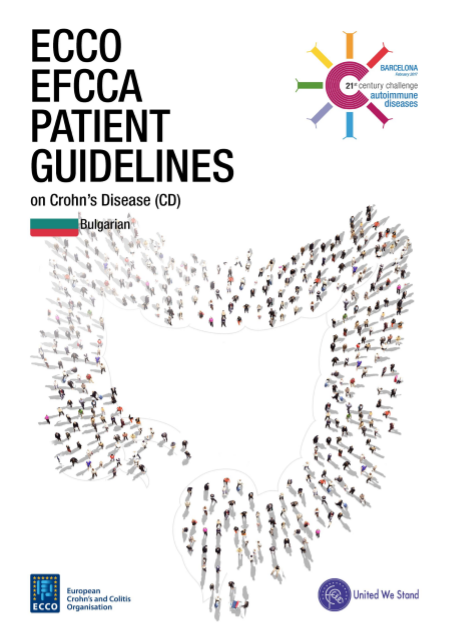 It has been established in the beginning of 2012 by people diagnosed with the Crohn’s disease, led by their willingness to stand up against the Inflammatory Bowel Diseases and improve the quality of life of people living with such diseases in Bulgaria. Despite its relatively young age, the association has already been recognized by doctors, patients, pharmaceutical companies and the general public as the organization representing and protecting the rights of people diagnosed with Crohn’s and Ulcerative Colitis in Bulgaria. We establish and maintain contacts with similar organisations in other countries for the purpose of knowledge exchange, work on joint projects for the benefit of our members, as well as for the protection of the rights of the people living with IBD.